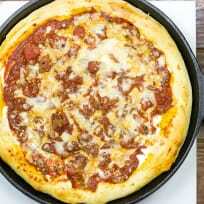 The Emile Henry Flame Top Pizza Stone will give you the perfect crispy pizza crust. It's also dishwasher safe! 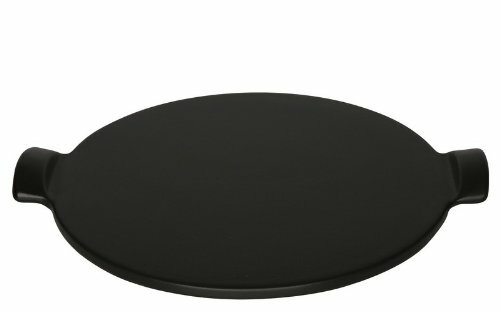 The Emile Henry Flame Top Pizza Stone is an essential pan for any pizza lover. Pizzas, flatbreads, and more will bake up crispy and more evenly on this ceramic pan. At 14 1/2 inches, it’s the perfect size for pizzas without being cumbersome to handle, thanks in part to the two side handles. 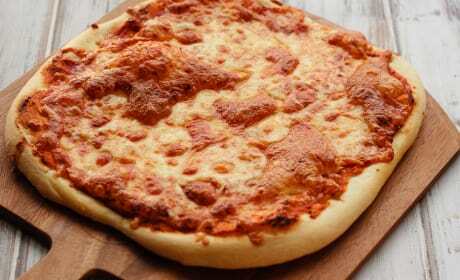 The ceramic surface is stain-resistant, and unlike unglazed pizza stones, can clean up quickly with soap and water or in the dishwasher. 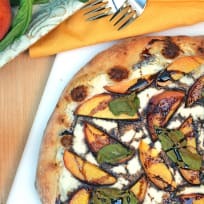 The stone can be used in conventional and convection ovens, or on any grill, so you can enjoy homemade pizza in summer without turning up the heat in your kitchen. Even if you don’t eat pizza frequently, the stone is perfect for baking artisan breads or cookies, or using as a beautiful platter. Available in a variety of colors to complement your dinnerware: Black, Red, Olive, Figue, and Slate Grey. 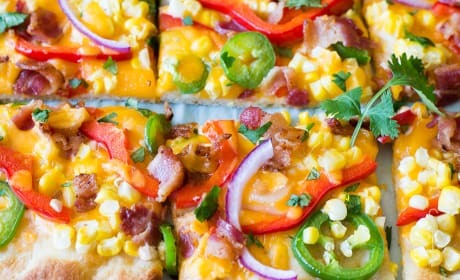 Tex-Mex Pizza is full of every Tex Mex flavor you love. An easy weeknight dinner full of flavor! 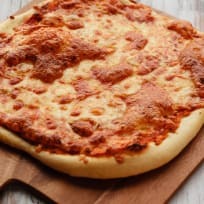 No Rise Pizza Dough is the perfect answer to pizza night. All ready for your favorite toppings! 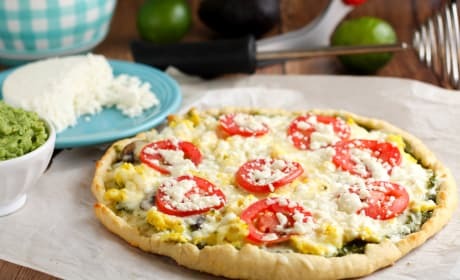 Gluten Free Southwest Breakfast Pizza will bring joy to any Mother&#39;s Day. The creamy guacamole can&#39;t be beat. 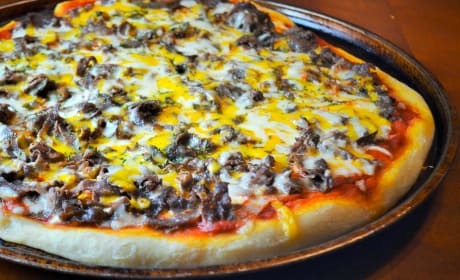 Philly Cheesesteak Pizza brings the glorious flavors of Philadelphia to your home. 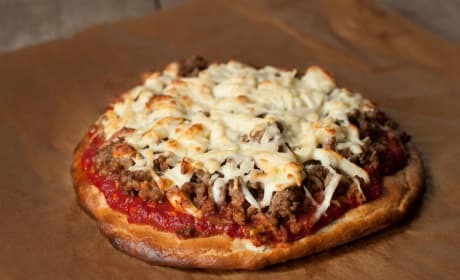 All in one hearty pizza. 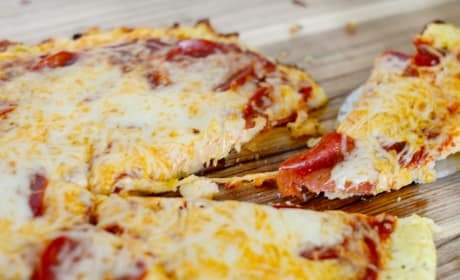 Cauliflower Crust Pizza is a gluten free and healthy alternative to flour pizza dough. And what an amazing taste! 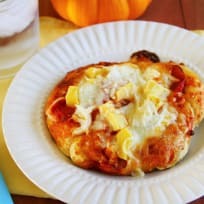 Paleo Pizza Crust is delicious and easy to prepare. And totally grain free!